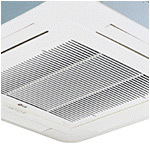 We install only the very best air-con and ventilation technology for our clientsns. Our systems keep your people comfortable all year round, whatever the weather. We have built our reputation on providing complete industry services, including design, installation, service and maintenance of HVAC and refrigeration cooling equipment to meet our client's individual requirements and the F-Gas regulation. Our systems also improve ventilation, making any environment more hygienic and productive.